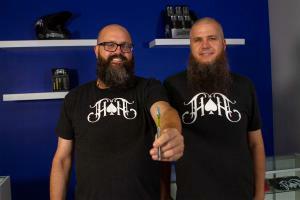 LOS ANGELES, CALIFORNIA, UNITED STATES, September 12, 2018 /EINPresswire.com/ — — Iconic cannabis brand Heavy Hitters has announced a limited release collaboration with Beard Bros. Pharms to produce one gram cartridges of their famed Extreme Cream strain. Beard Bros. Pharms, known for their cannabis cultivation expertise, prides itself on its reputation for having the best phenotype of Extreme Cream on the market. Heavy Hitters, recognized for its high quality oils and vape technology, was a natural fit for this limited release product. This collaboration marks the first and only Extreme Cream vape cartridge ever to be sold in California.